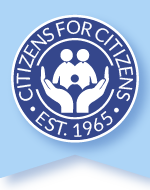 Emergency Food & Shelter Program - Citizens for Citizens, Inc. Emergency aid for rent and utilities when funding is available. Provides a one-time payment for utility or fuel. Rental assistance on a case by case basis as needed to prevent homelessness. Eligibility: Client must be in the process of moving into or being evicted from their current living environment, and the property must be in the Greater Fall River area. Utility Assistance Eligibility: Client must have a termination notice from the utility or currently have service shut-off by provider. Documentation Needed: Varies with type of assistance needed. Application Process: Application is taken at the office. Criteria for Selection: Must be moving into or in the process of being evicted from your current living situation. Please note Rental Assistance is not available from CFC in the Taunton area.